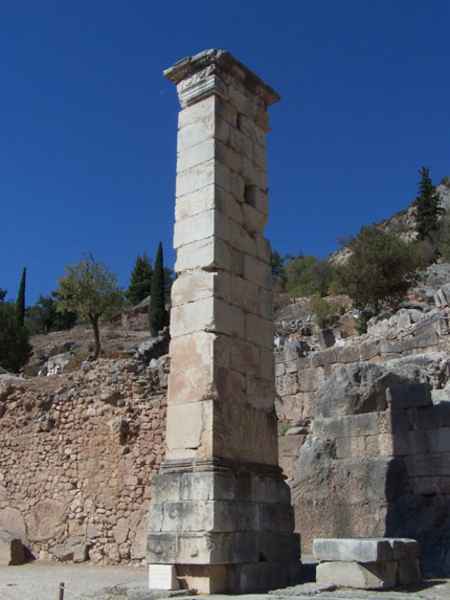 As expected around the temple of Apollo had been assembled many rich offerings, which today we have only the bases. Left and right of the facade existed on tall pedestals horseback statues of the Roman general Aemilius Paulus and the king of Bithynia Prusias that was founded at 2nd cent. B.C.